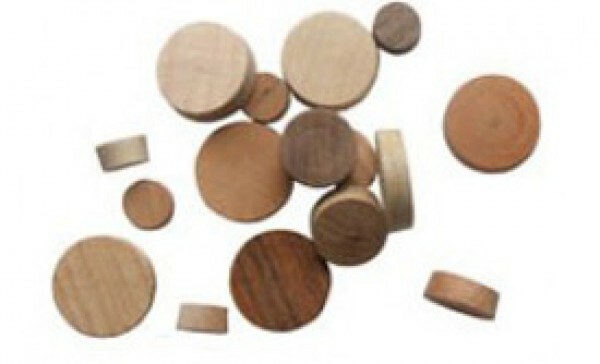 Atlas offers a variety of side grain wood buttons and plugs, often used in the stair, furniture and flooring industries. See below for woods and sizes for both side grain furniture plugs and side grain boat deck plugs. These Side grain (face grain) plugs are the finest for matching or contrasting wood by displaying the true grain and beauty of the plug. These Side grain plugs with straight sides are turned .005" to .008" - oversized for a tight fit. These plugs are 3/8" long with a small chamfer on one end.